The Center for Advanced Medical Research and Biotechnology (CAMRAB), has recently furnished their new facilities with equipment and consumables provided by inqaba biotecTM West Africa. The laboratory’s focus on molecular diagnostics and research is located on the campus of Babcock University. Babcock University is a private co-educational Christian university run by the Seventh-Day Adventist Church, which is in IIishan-Remo, between Ibadan and Lagos. 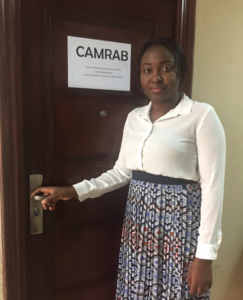 Hazeez Durosomo, the area sales manager from inqaba biotecTM West Africa, was provided the opportunity to advise and consult on the laboratory setup at CAMRAB. Furthermore, Hazeez provided onsite training to the laboratory personnel, to ensure optimal handling of all equipment and flexible use of the laboratory work space. Optimising a laboratories work space for improved productivity and efficiency requires an in-depth understanding of the equipment and working environment. Furthermore, it is essential that a molecular laboratory adhere to good laboratory practice, quality control standards and guidelines. This ensures that all experiments are performed as accurately and efficiently as possible, limiting exposure to hazardous chemicals and minimising contamination. Center for Advanced Medical Research and Biotechnology (CAMRAB) Laboratory layout with new Eppendorf Mastercycler, Centrifuge, micropipettes and a Mettler Toledo pH Meter. 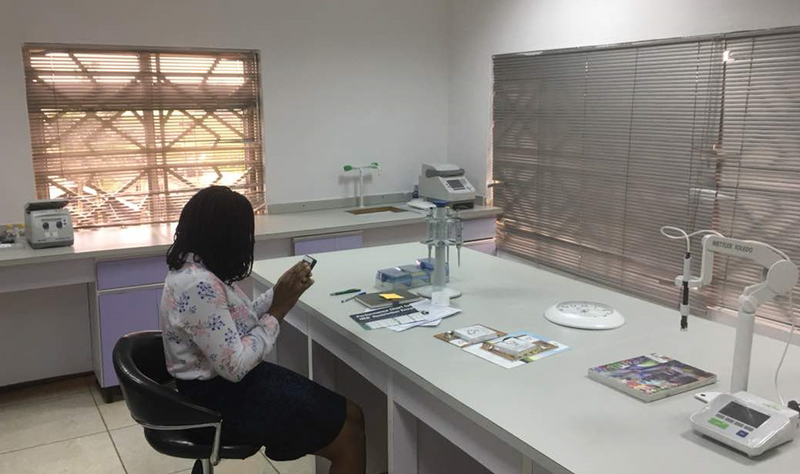 While we are able to provide this laboratory with the necessary equipment, we are also able to provide the laboratory with the consumables and reagents required to assist Dr Olaleye’s team with their study on malaria parasite resistance to chemoprophylaxis during pregnancy. We would like to thank the CAMRAB Laboratory for joining the inqaba biotec™ West Africa family and we wish you a successful start in the molecular diagnostics field. The inqaba biotec™ West Africa family offers a 1 year-warranty on all equipment purchased with exceptional technical services. We value our relationships and hope to grow our family, providing the foundation and support to greater scientific achievements and knowledge expansion. Dr Atinuke Olaleye is a board-certified Obstetrician Gynecologist; Fellow of the West Africa College of Surgeons; and the National Postgraduate Medical College of Nigeria; holds a WHO/TDR Clinical Research and Development Fellowship; is an EDCTP Career Development Fellow; a Senior Lecturer and Consultant Obstetrician Gynecologist at the Babcock University and Teaching Hospital, and Director of the Centre for Advanced Medical Research and Biotechnology (CAMRAB). Dr Atinuke Olaleye is currently conducting a project studying parasite resistance to malaria chemoprophylaxis during pregnancy. Her research interest lies in perinatal transmission of infectious diseases and pharmaceutical drug safety during pregnancy.